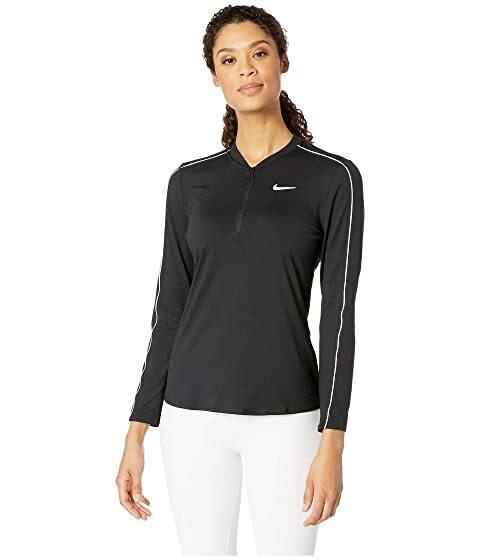 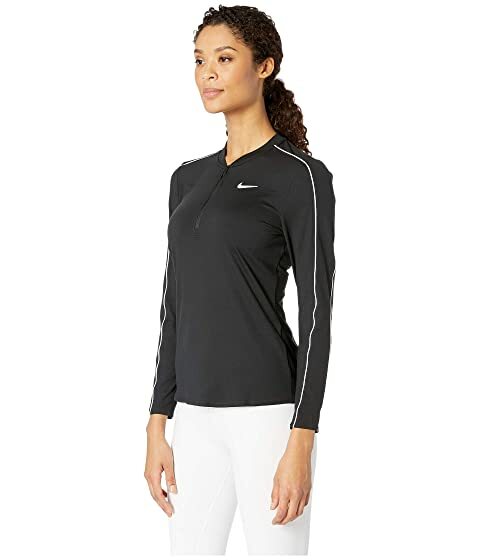 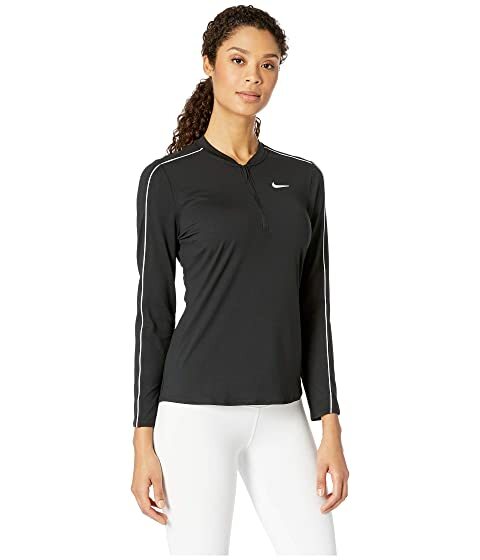 The Nike® Court Dry Top Long Sleeve 1/2 Zip shirt will take your game to another level. Nike swoosh at the chest. 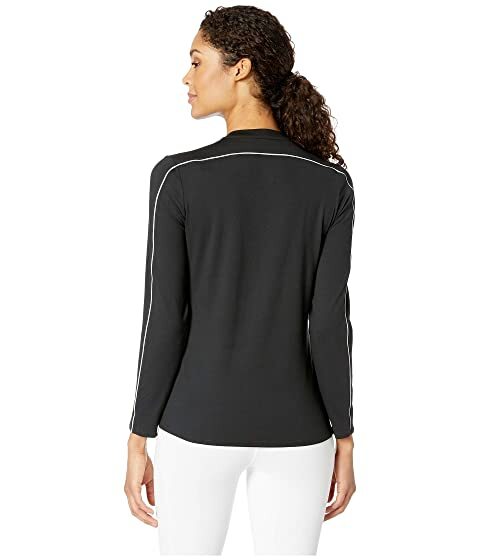 Long sleeves with elastic binding.